Cheap advertising space, but at what cost? If money is tight and options are limited, you will have to come up with some creative ways to spread the word about your business or client. One of these solutions could be remnant advertising, which can give you exposure other companies have paid much more for, but at a huge discount. However, the cut-price comes with fewer options. 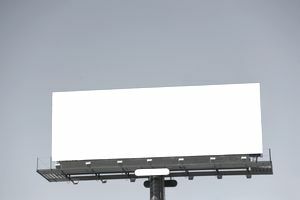 First, let's look at some of the basics of remnant advertising. In advertising, remnant ads are advertising spaces that the media company has been unable to sell. This could be for varying reasons, including a lack of interest in a certain time slot or page, the cost of the space, or simply just not enough advertisers available. This creates a problem for the media company because advertising space is finite. It has a very definite lifespan, and if it is not bought, it goes to waste, usually with a house ad, public service announcement or other "filler" content. If you have a very limited budget but want to get your ads seen by as many people as possible, remnant advertising could be the ideal solution for you. So, it really is a remnant? The name really does describe the kind of advertising this is. Remnant is another word for the remainder, leftover or scrap. You've probably seen ads for remnant carpets, lumber or fabric. Rather than losing out on the revenue completely, media companies will offer remnant spaces at a huge discount. They get to sell the space that was about to go for no money, and the advertiser gets exposure at a deeply discounted price. Think of remnant advertising in the same way as cut-price hotel rooms from a site like Hotwire. You will get a hotel room in the city of your choosing, perhaps even on the date of your choosing, and with the stars you want. But, you won't know which hotel you're staying in, how far it is from the airport, and what the amenities are around it. You take a significant cut in price, but sacrifice choice. The same goes for remnant ads. You will have some say in when and where you are advertised, but not much. What&apos;s the upside to remnant advertising? Cost and exposure. When you buy remnant space, you're getting drastically discounted prices for major exposure on TV, radio, magazines, billboards, and the Internet. It's not uncommon to pay 75% less for a spot than the usual price. Many people compare it to buying your plane ticket at a vast discount, even though the person sitting next to you has paid full price. This low cost also means that companies with a small ad budget can get access to media that would usually be well out of their league. What&apos;s the downside to remnant advertising? The biggest downside is choice. You have none. Space is purchased at the last minute and you have no say in where or when the ad runs. It could be at 3.30am, or towards the back of the publication. You also have to have ads ready to go at a moments notice. That means having multiple versions of ads, in both color and black and white, or TV and radio spots cut to varying lengths. This also means you need a creative department, production department, and account services department on call to jump on any last minute requests. However, once you get into the habit of buying remnant space, this should become a very workable situation.